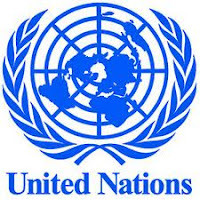 United Nations (UN): United Nations is an international organization founded in 1945 after the Second World War by 51 countries committed to maintaining international peace and security, developing friendly relations among nations and promoting social progress, better living standards and human rights. Due to its unique international character, and the powers vested in its founding Charter, the Organization can take action on a wide range of issues, and provide a forum for its 193 Member States to express their views, through the General Assembly, the Security Council, the Economic and Social Council and other bodies and committees. * UN officially come into existence on 24th October 1945. * Newest UN Member = South Sudan in July 2011. * UN has 6 Official Languages: English, Chines, French, Russian, Spanish and Arebic. * UN Security Counsel has 15 Member with 5 permanent members. * Five permanent Member of UN Security counsel are: USA, UK, China, Russia, France. * Head quarter of International court of Justice (ICJ) is located in "The Hague". * Current Secretary General is Ban Ki Moon from South Korea. 5. United Nations Conference on Trade and Development (UNCTAD).